A Neonatologist is a medical doctor who uses critical care medicine to address the health of premature or critically ill newborns and infants. In providing this care, Neonatology Physicians often assist in the delivery of babies, diagnose and treat conditions and coordinate overall care with an Obstetrician, Registered Nurses and other pediatric career professionals. Ultimately, what differentiates a Neonatologist from a Pediatrician is the critical nature of the patients seen. Whereas Pediatricians are able to solve most newborn health problems, Neonatologists focus on the high-risk and most complex cases which usually involve premature births. Included in their scope of practice are the treatment of babies with birth defects, serious illnesses, infections and pre-birth developmental problems. They may also be present during high-risk cesarean deliveries, or during any deliveries which have the potential to compromise an infant’s health. Wellington added that this career is rewarding on many levels. She noted that Neonatologists tend to perform more procedures than general Pediatricians, and therefore they get to know and support many families throughout their childbirth journeys. To become a Neonatologist, the first step is to enroll in an undergraduate degree program. While a degree in a related science is not required, these areas of study can help serve as a solid foundation for medical school. Usually during the final two years of an undergraduate degree program, students register to take the Medical College Admissions Test (MCAT). Once the scores are received, learners must submit them along with applications and letters of recommendation to medical schools of interest. Upon being admitted to a medical school program, medical students can expect to spend two years in classroom settings followed by two years of hands-on clinical rotations. During lectures, medical school students will learn about foundational psychological and scientific theories of medicine, as well as developmental biology, postnatal growth, development and maturation. During clinical rotations, students gain their first direct patient experience in the specialties of pediatrics and working with Surgeons, X Ray Techs, Nurse Anesthetists and others. Following medical school, prospective Neonatologists will pursue a three year residency with a focus on pediatrics. Supervised by teaching staff, this is when learners will gain an understanding of patient care for children, emergency scenarios and inpatient care environments. After three years of pediatric training under the supervision of a Physician, they will then begin a neonatology fellowship. Finally, Neonatologists must become certified by the American Board of Pediatrics and by the Sub-board of Neonatal-Perinatal Medicine. She further explained that Pediatric Residents spend three to four months in the Neonatal Intensive Care Unit during their training. During this rotation, they learn complex procedures such as intubation, umbilical line placement and PICC line placement. In addition to these procedures, prospective Neonatologists learn about the clinical management of neonates and delivery room resuscitation. To advance in a healthcare career as a Neonatologist, professionals can choose to pursue avenues other than clinical care. For example, Neonatology Physicians can decide to enter the realms of either academia or research, both of which offer many opportunities. Professional growth can also stem from consulting or entering more administrative roles within a hospital or other healthcare facility. As the field of pediatrics is constantly evolving, Neonatologists must further possess a breadth of knowledge across the field of medicine as a whole. Being able to perform and evaluate research can also be beneficial to a Neonatology Physician’s overall understanding of changes within the field. 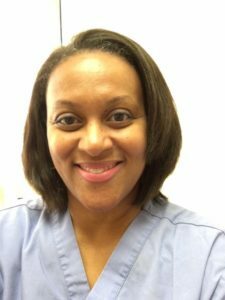 Communication and interpersonal skills are involved in this career as well, as they can greatly assist these doctors in working alongside other professionals and relaying information to families. Traits which assist Neonatologists in providing quality care include empathy and compassion toward the families of infants in need. In times of crisis, being able to work well as part of a team is integral. Being able to remain calm and collected amidst emotionally challenging circumstances is important as well. The role also comes with a need for strong morals and integrity as ethical dilemmas are known to arise when infants are critically ill. Enthusiasm for the field of pediatrics is important too because this keeps Neonatologists interested in their work and dedicated to furthering their education and knowledge. As Wellingtons alluded to, Neonatologist shifts can be long and stressful. These professionals may be assigned to work evenings, nights or weekend shifts,and sometimes, 24 hour shifts. Being placed on call is also to be expected in this career. She added that a typical day for her begins with rounding on each patient. The neonatal team consists of the Neonatologist, a Nurse, residents, Nurse Practitioners or Physician Assistant, a Respiratory Therapist and maybe a Nutritionist and a Social Worker. They discuss each patient at the bedside, and parents are invited to participate in the discussion of their newborn. Labs and X Rays are reviewed and the plan is made for the day. After these “rounds”, the Neonatologist will review any outstanding information, examine the patients, attend high-risk deliveries when needed, write notes, update families and admit any new admissions. They will also usually provide educational training during this time. 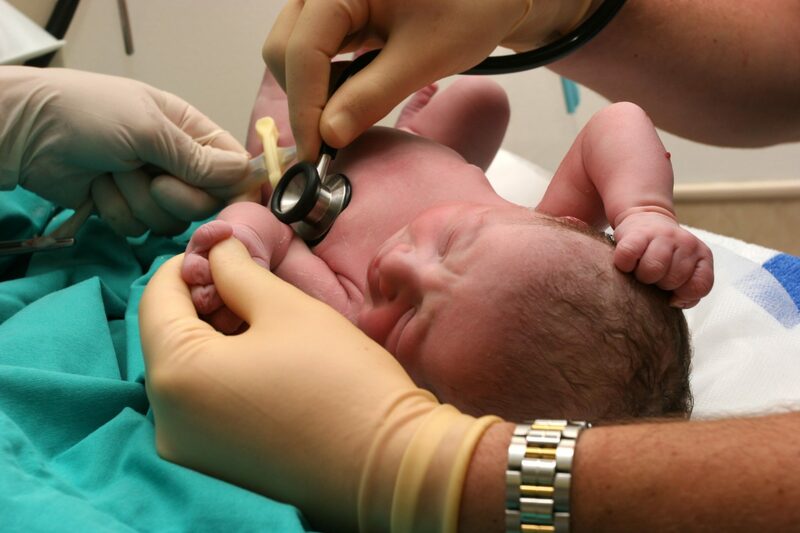 Now is a great time to consider beginning a career in healthcare as a Neonatologist! This career is projected to grow 24 percent over the course of the next decade. This strong career outlook results from a greater understanding of prenatal complications, as well as advanced technology making more prenatal tests and procedures possible. Most commonly, Neonatologists work at children’s hospitals, hospitals, medical facilities and occasionally outpatient facilities. More specifically, they practice within newborn intensive care units (NICU) or special care units. Due to the lengthy educational requirements and expertise required, Neonatologist careers are quite lucrative. The median annual wage for this occupation is $204,950. However, Neonatologist salaries are known to range from $160,000 to $310,000 per year. Earnings may vary depending on employment setting, years of experience, geographic location and hours worked. The American Academy of Pediatrics (AAP) is an organization that promotes optimal physical, mental, and social health and well-being for all infants, children, adolescents and young adults. To accomplish this, the AAP supports the professional needs of all members. The National Perinatal Association is an organization that brings members who are interested in perinatal care together to share, listen and learn from each other. The organization further supports and advocates for babies and families at risk across the country. The International Neonatology Association is an organization which aims at improving newborn survival. The organization also seeks to improve standards of education in the field of neonatology. Why did you choose to become a Neonatologist? What are the 10 Fastest Growing Careers in Healthcare?